Welcome to our free Introduction to Microsoft Excel tutorial. This tutorial is based on Webucator's Introduction to Microsoft Excel 2019 Training course. 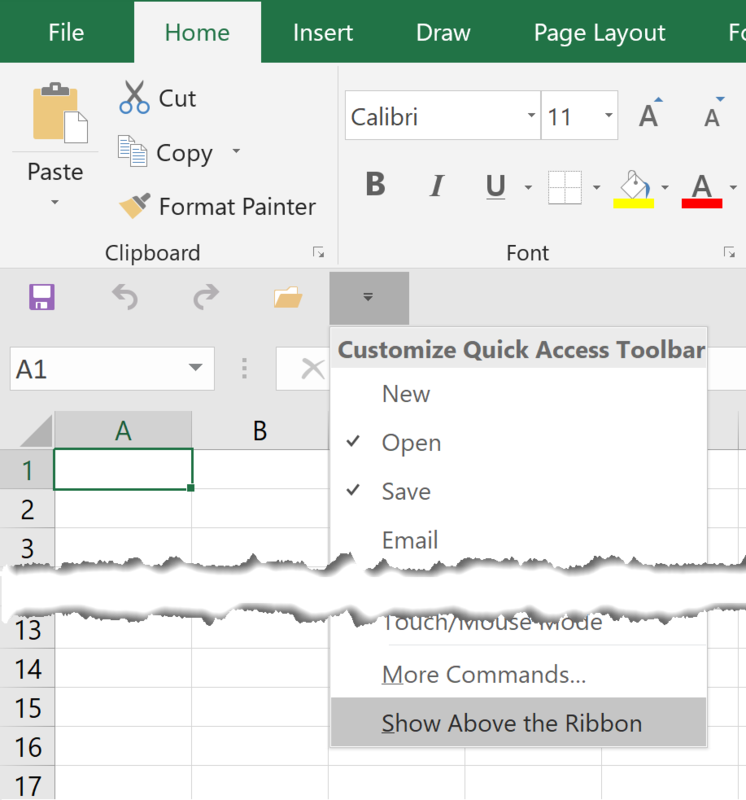 In this lesson, you will learn about the Quick Access Toolbar in Microsoft Excel. 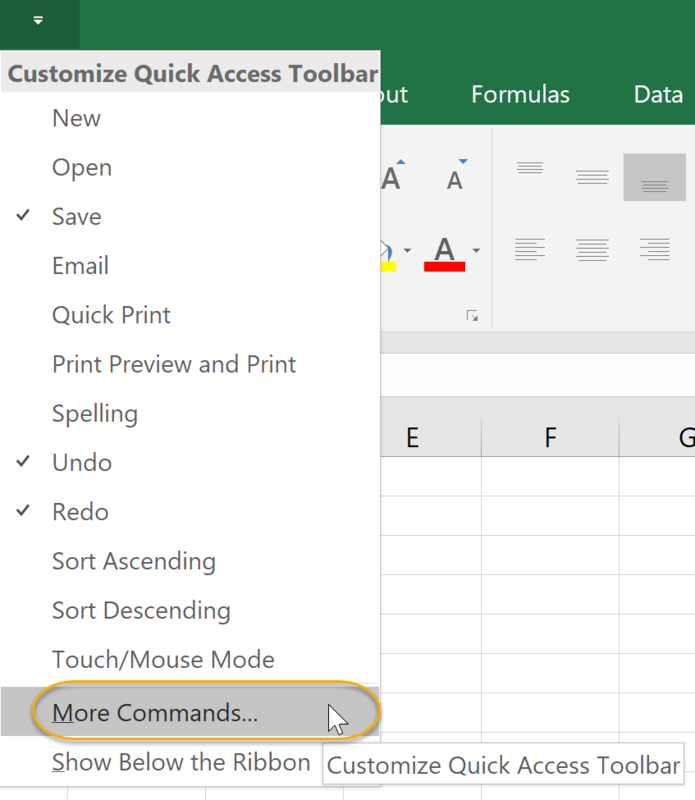 Learn to add common commands to the Quick Access Toolbar. 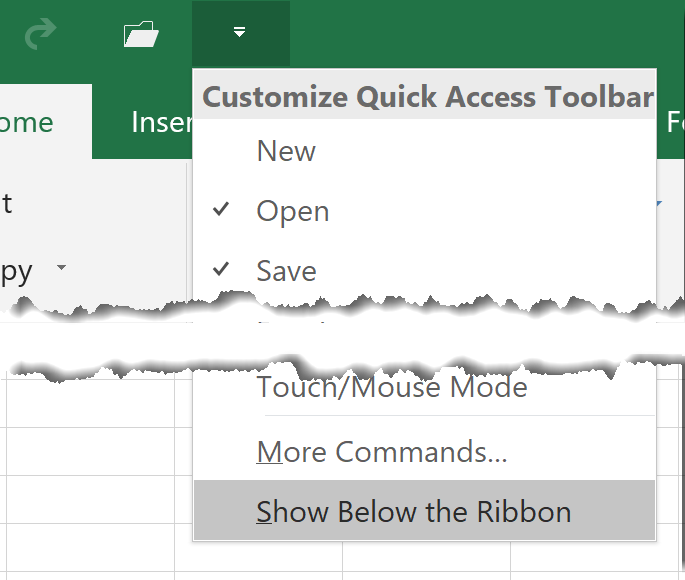 Learn to add additional commands to the Quick Access Toolbar. Learn to move the Quick Access Toolbar. Save. Click Save to save your workbook. Undo. Click Undo to undo the action you last performed. 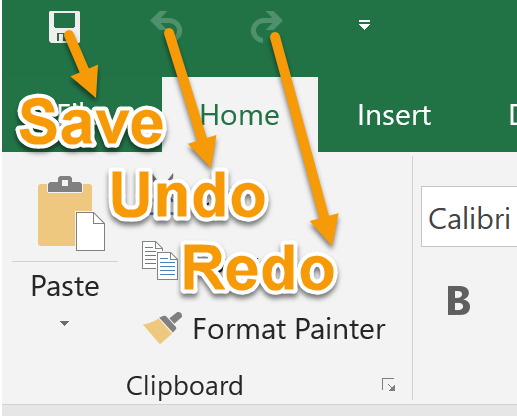 Click the drop-down arrow to the right of Undo to undo multiple actions at the same time. Redo. Click Redo to repeat the action you last performed. Click the drop-down arrow to the right of the Quick Access Toolbar. Select a command from the list that appears. Click the drop-down arrow on the far right of the Quick Access Toolbar. Select a command from the list circled below and click Add > >. Click OK to make your changes. 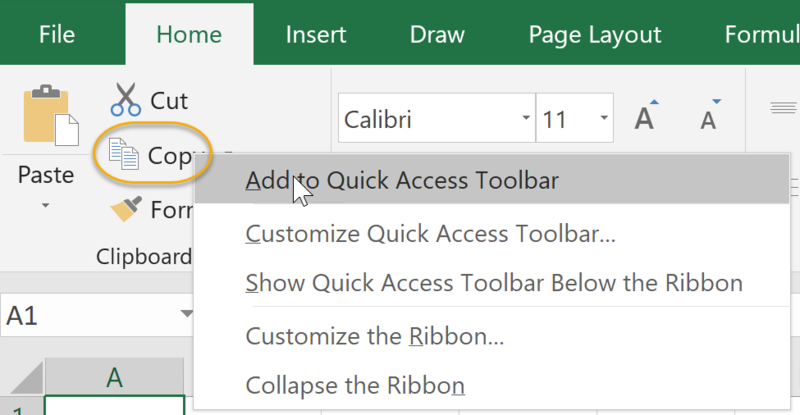 New in Excel 2019, you can add Subscript and Superscript to the Quick Access Toolbar, as well as the Ribbon. Right-click on the command or on the group name. To move it back, click the drop-down arrow again and select Show Above the Ribbon. 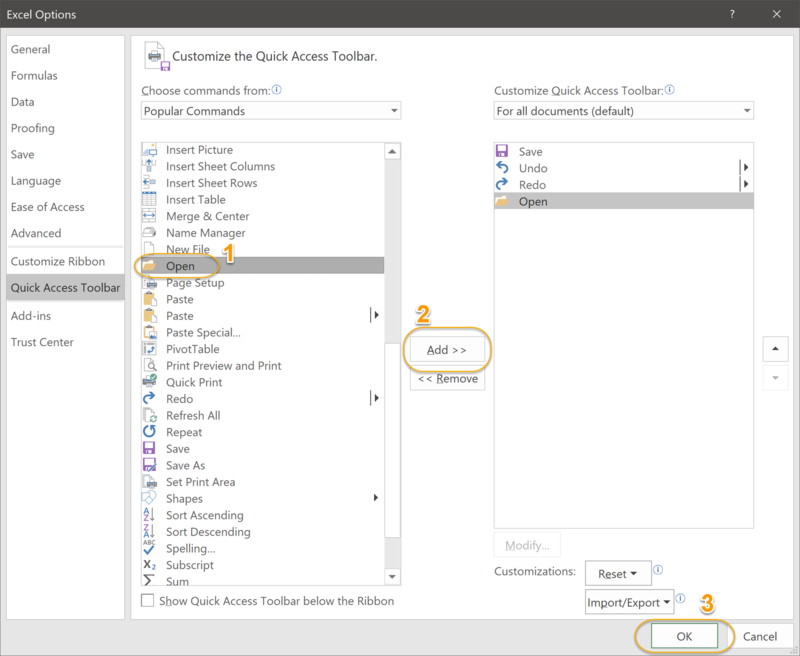 In this exercise, you will customize the Quick Access Toolbar. Remove Find from the Quick Access Toolbar. Move the Quick Access Toolbar below the Ribbon. New: click the drop-down arrow to the right of the Quick Access Toolbar and check New. Open: click the drop-down arrow to the right of the Quick Access Toolbar and check Open. Quick Print: click the drop-down arrow to the right of the Quick Access Toolbar and check Quick Print. Paste: click the drop-down arrow to the right of the Quick Access Toolbar and select More Commands.... Highlight Paste in the left column and click Add > >. Find: click the drop-down arrow to the right of the Quick Access Toolbar and select More Commands. Then click the drop-down arrow to the right of Popular Commands and change it to All Commands. Highlight Find in the left column and click Add > >. Click the drop-down arrow to the right of the Quick Access Toolbar and select More Commands.... Highlight Find in the right column and click < < Remove. Click the drop-down arrow to the right of the Quick Access Toolbar and select Show Below the Ribbon. Optional: to move the Quick Access Toolbar back to the upper-left corner, click the drop-down arrow to the right of the Quick Access Toolbar and select Show Above the Ribbon.